Buyers can approach us for acquiring the best in line JMB32H : 32mm Cap. Magnetic Base Drilling Machines at fair market prices! 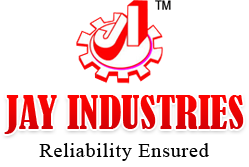 We are renowned Manufacturer & Supplier of Magnetic Base Drilling Machines from Gujarat, India. In order to meet the variegated demands of the buyers, we make them accessible in different technical specifications. Buyers can rely on us for on-time deliveries.